Allround VP polishers are designed to wash and polish produce. This process is commonly used at companies that want to give their produce a ‘premium’ look and feel. Furthermore, a lot of irregularities in the product will be polished away by this machine, and this process increases the shelf life of produce as well. Allround VP will advice on the hardness of the brush. The TD (turning drum) machine consists of a rotating drum with counterrotating brushes. This causes the top surface of the product to be cleaned very thoroughly. Depending on the produce and required result, Allround VP will advice on the hardness of the brush. Drum is secured with four rollers in case one power belt breaks. The RM (rocking motion) machine consists of a roller bed which has a rocking motion with counterrotating brushes. This causes the top surface of the product to be cleaned very thoroughly. Depending on the produce and required result, Allround VP will advice on the hardness of the brush. Brushes very easy to clean. Less suitable for long thin product. 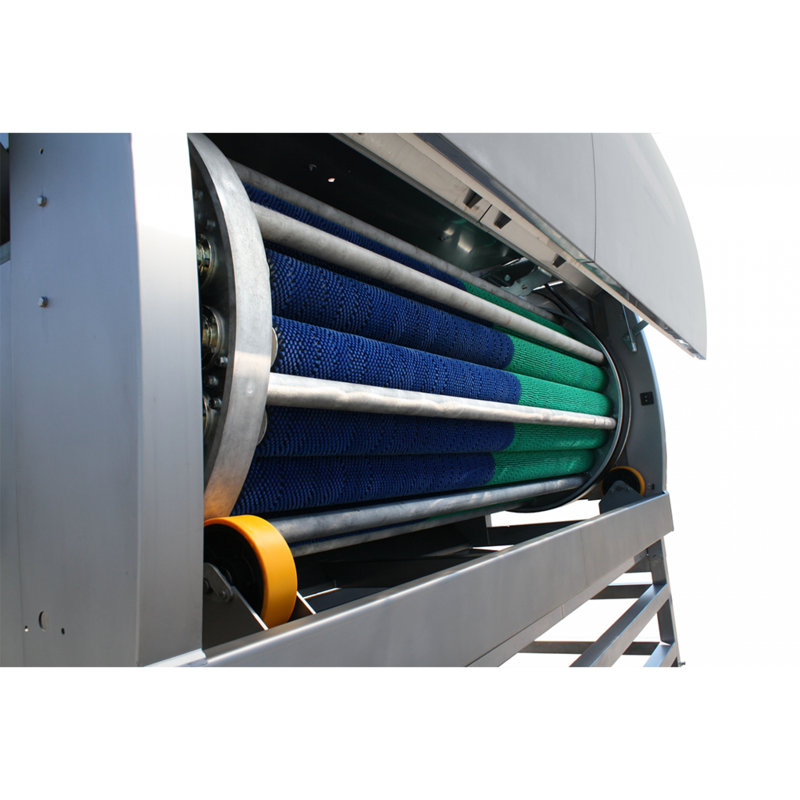 Allround VP offers a water cleaning system for water coming out of the machine. This system is recommendable when the water from the machine is directed to a water basin, as this system cleans the water from larger particles. Allround VP offers Legs up to height 1000 mm and 2000 mm. For water from sieve bend: 430 Ltr. (6m3) in the box + hose. With hand pump at one side. Depending on the produce and required result, Allround VP will advice on the hardness of the brush.